Jesus gave His life to save our souls and established the church, His body on earth, composed of every soul who is saved. The church is to be a place of healing from the results of all the sin in this world, a hospital for the saved. Whether our hurt is the result of sins we have committed or whether we incur injury from the flawed lives of others, every one of us is hurt. It is a great mistake to blame God/Jesus for those hurts that happen to us from imperfect human beings in the church. Even those of us who try our best not to hurt others would be surprised to hear that we have indeed hurt someone in the fellowship in some way, either something we truly messed up on or simply their hyper-sensitive feelings. Not one of us is perfected until we go to be with the Lord. WE ARE ALL WORKS IN PROGRESS and need to give each other grace. We may have the "right" to be hurt and offended, but if it isn't profitable to us, we simply need to stop! The Bible is clear that we forgive everyone 70x7 which means perfectly, completely. He teaches that we are only forgiven by God if we forgive everyone for their wrongs against us - that includes within the Body of Christ. How can we demand that others grant us mercy for our flawed humanity and not give others the same? Satan simply works on our fleshly flaws to make this an excuse to no longer "go to church" or fellowship with believers. He successfully renders us not only useless in God's service, (how many souls will burn in hell eternally because you allowed yourself to be "offended" and didn't fulfill His work in your life? ), but we also forfeit our own souls, (if we don't forgive others, God doesn't forgive us, without His forgiveness we are lost eternally). Good thing for us that Jesus didn't allow Himself to become "offended" as those He was dying to save shouted, "Crucify Him! ", spat on Him, cursed Him, beat Him etc. Not one of us has near the reason to be offended that Jesus did/does and yet He sets the example for us and FORGAVE ALL OF US, in the midst of His suffering, for what was done to Him, the rejection, the insults, the real injury. We as Christians are to conform our lives in all ways to His example. This is so very serious! It is such an unnecessary way to go to hell. The Word of God is clear on this subject, how we are to live our lives in Christ. We said "yes" to everything from God the day we asked Him to save us. It's a conditional deal like ALL the promises of God. We obey His plan of salvation, then live faithfully till death and He saves our souls out of His grace...or we don't and He doesn't. We choose. 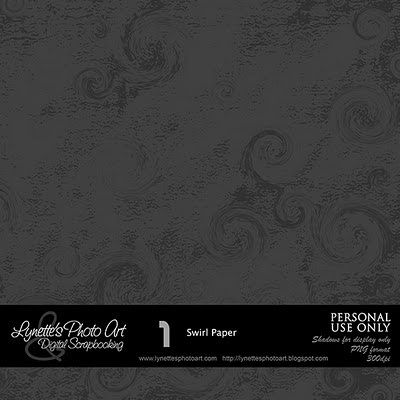 Today your gift is this rich Swirl Paper. I made several variations and just love them. I hope you like this one. I might share more if there is a good response. I so enjoy your posts! They're always a great reminder of things we need to remember. And thanks for the beautiful paper!